Photomontage of a man fishing. 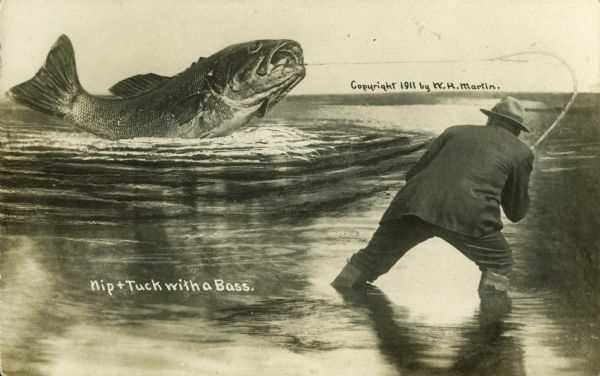 The man, wearing waders and up to his knees in water, is struggling to reel in a giant bass. The words, "Nip & Tuck with a Bass," appear in the lower left portion of the image.